I just want to thanks Kiara for helping get my loan in a fastest and easiest way. She is awesome and explained each and every things that needs to be done for a speedy processing of my loan. Thank you very much again Kiara I really appreciate all your help and effort and if I know someone looking for a loan I will absolutely refer them to call Kiara at Montana Capital. Primeras Insurance Agency provides registration services for 5 Star Car Title Loans customers. 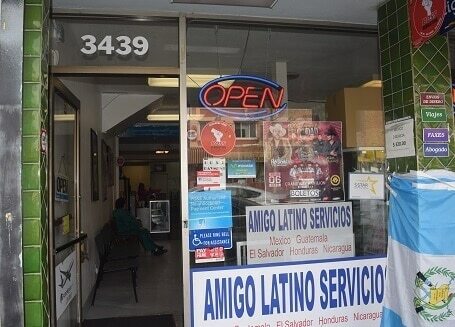 The store is located at 3439 International Blvd, near the intersection with 35th Ave. 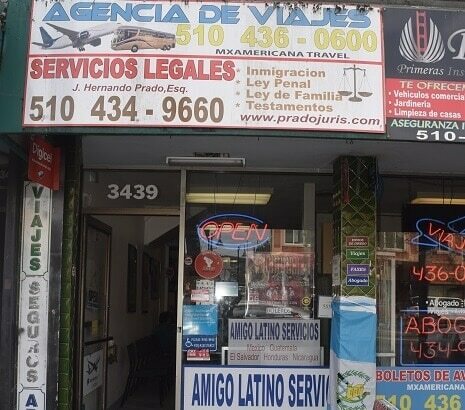 If you live in Oakland and in need of registration services, stop by Primeras Insurance Agency that works with 5 Star Car Title Loans in Oakland. Primeras Insurance Agency provides our clients with unmatched customer service. 5 Star Car Title Loans does not issue loans at this location. If you’re wondering where you can get a little extra money in your pocket, look no further! Send us your application for online car title loans and we’ll see how we can help you with a quick loan to use for purchases, bills or anything else! What Are Auto Title Loans Exactly? Auto title loans are fast private loans that you can apply for by sending an online application to 5 Star Car Title Loans in Oakland. As all title loans use an asset for security, car title loans use the value of your car. The great thing is that you don’t have to give up your car if approved for auto title loans, as only the value of your auto is needed. You can repay auto title loans in regular monthly payments. Where Can I Find Auto Title Loans Near Me? We have a list of offices where you can get auto title loans in California. For the California location near you, contact us at 5 Star Car Title Loans in Oakland. We will give you a list of all California title loans locations. Is a Trip to the DMV Necessary When Applying for California Title Loans? You probably won’t need to make a trip to the office of the DMV, because we can normally do that for our title loan customers. After sending your online application to 5 Star Car Title Loans in Oakland, bring us your car title. We’ll need it to take care of the DMV for you. How Can I Get Online Loans for Bad Credit? To request online loans for bad credit, you only need to fill out an online application with your details and information about your car. Send that to us at 5 Star Car Title Loans in Oakland so that we can find out how much your car is worth. With no credit check loans, we need to know the value of your automobile. What kind of car you own, ability to pay us back and fitting into our credit criteria is more important to us than your credit status, so send us your request today. What's the Most Amount of Money I Can Receive with No Credit Check Loans? While no credit check loans begin at a minimum of $2,600, they can go as high as $20,000. The amount of bad credit loans is according to your car’s value as well as your ability to pay back the no credit check loan. In some cases, we will require a credit check, but not always.